Palavras nao podem definir essa viagem... Ar puro, lindas paisagens e sensaçao de dever comprido! Como nao amar esse lugar ?! A sensacao eh unica ! As construcoes , as arvores , as plantas , os animais , as pessoas , a " vibe " do local eh sensacional ! O caminho é incrível e foi tudo maravilhoso na trilha. As paisagens são incríveis, nosso guia Lito foi muito atencioso, explicava tudo por onde passávamos e nos incentivava sempre. A equipe de porteadores também foi muito atenciosa e nosso cozinheiro Modesto cada hora nos surpreendia com alguma comida típica e gostosa! 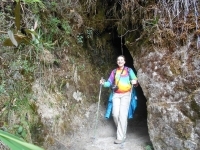 El trek me ha parecido estupendo, tanto desde el punto de vista de las caminatas, como de los alojamientos durante el recorrido y las personas que atienden a los turistas. 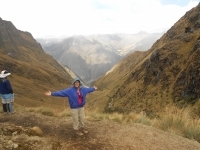 I had a wonderful time hiking and camping the Salkantay trail. Marco was great. 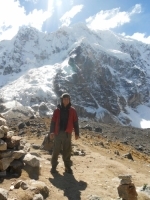 I struggled with altitude sickness and blisters, he was always at my back making my adventure an awesome experience. I took the horse because of altitude sickness, which Marco suggested. It was helpful advice. The horse ride overall was a great adventure. Definir o que foi esse desafio e muito dificil, pois nunca planejei e imaginei o que se passaria aquí, pensei em faz er algo diferente, mas a trilha me surpreendeu. Foram quatre días inesqueciveis, onde pude refletir sobre mim, quem sou e para onde que ir. Foram días de calor, de frio, suor e muita dor com esforco extremo. Tired, hungry, thirsty, but all so worth it! 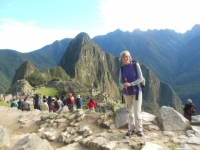 We booked this trip thinking it would be nice to "stroll" the Inca Trail with some good views and a few photos. It was exactly that but with some extreme additions. 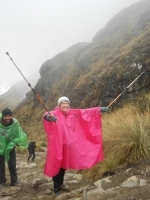 Freezing rain, strong winds, vertical climbs and rum! Despite our expectations being way off we would not have wished for a better trip. 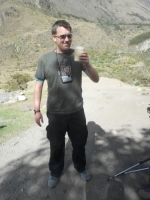 The Inca Trail was, although one of the hardest things I've ever done, also one of the best. 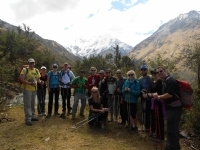 The first day eased us into hiking and we enjoyed fabulous weather and a chance to enjoy the culinary skills of our travelling chef. 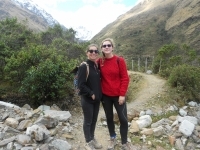 My 15 year old daughter and I walked the Inca Trail together and this was an amazing experience. 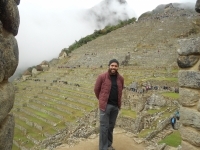 Our guide was very considerate, helpful and explained each Inca site very well. 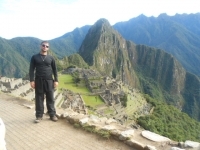 He referred to us as a family, brothers and sisters and was extremely encouraging. I had an excellent time and can't wait until I am able to return. The hike was really fun and even though I can't feel my legs I had a lot of fun. In ten years you will see me again. I am very happy that my mom chose this company. It was really hard but fun. C est le trekking de votre vie! El trekking era super bueno. Los paisajes fueron increíbles y me gustaron los comentarios relevantes de Raul y la simpatía de Marco que nos permitió ir a nuestro ritmo y disfrutar al máximo de esta experiencia. 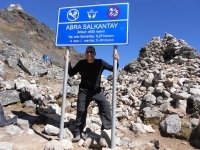 El Salkantay trek con Inca Trail Reservations - Salkantay.org fue muy bueno. La pasamos muy bien con el grupo. Los dos guías eran muy simpáticos y nos dejaron caminar a nuestro tiempo, nos motivaron. Las explicaciones de Raul y Marco fueron muy interesantes. Los lugares donde acampamos fueron convenientes.